Miyamoto Brings Up A Link to the Past in 3D Yet Again – Sign It’s Coming? G: Are there any plans to adapt other older Nintendo games for the 3DS console? SM: Not really. We would like to create more new titles. 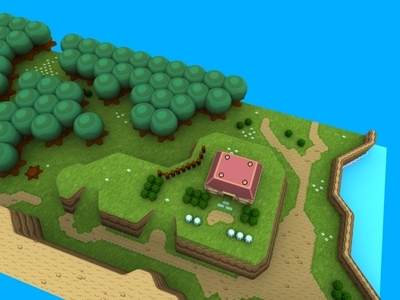 For example, this year we are making Super Mario 3D, but it’s not really a remake of [the Wii’s Super Mario] Galaxy. The Legend of Zelda: Link to the Past could be one of them. I think it would be good to see that world with a layered 3D effect. Oh Miyamoto, you know you’re going to get whatever you want at Nintendo. A couple weeks ago you mentioned to Edge Magazine that you wanted to remake A Link to the Past on the 3DS, and now here you are again in a new interview saying that there are little to few plans on porting more games, but stating plainly that A Link to the Past could be one of those few. Hey, Miyamoto has been hinting at something special for Zelda’s 25th – could a remake of A Link to the Past possibly be that something? Maybe that is why Nintendo EAD passed Ocarina of Time off to a 2nd hand party? Who knows, but whatever Miyamoto wants he pretty much gets.